I am excited to bring you a great giveaway today . Please Read The Review of these Watches Here. 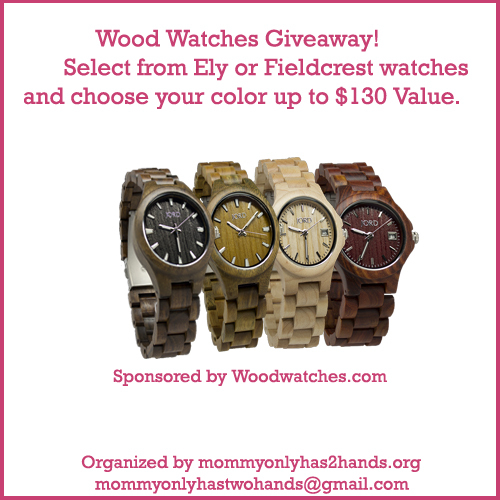 They are kindly giving away One wood watch to one lucky contestant up to a $130 value. Please Check out the watches here below or visit their site to see the variety to choose from.